Over the last couple weeks, we’ve looked ahead at the Blackhawks’ opponents in the new Central Division. We’ve already discussed the Winnipeg Jets, St. Louis Blues and Nashville Predators. Now, let’s turn our attention to the team that made the most noise in the summer of 2012, the Minnesota Wild. Only 13 months ago, before half of the 2012-13 season was lost, the Minnesota Wild were the talk of the NHL. Seemingly hours after leading the New Jersey Devils to the Stanley Cup Final, Zach Parise jumped ship and signed with Minnesota… and Ryan Suter, a fixture next to Shea Weber on the blue line in Nashville, joined him. But once the lockout ended, so did the awe of Minnesota’s willingness to spend. They finished the 2013 regular season by backing into the playoffs; they won only four of their last ten, and their 55 points were matched by the Columbus Blue Jackets. The first round of the playoffs were a tall order for the Wild, facing the Presidents Trophy-winning Blackhawks. Their road to the second round became harder when starting netminder Niklas Backstrom left the ice with an injury during warm-ups before Game One, and they simply could not match the speed and depth of the Hawks. In spite of a fantastic effort from Josh Harding, the Wild’s postseason ended quickly. 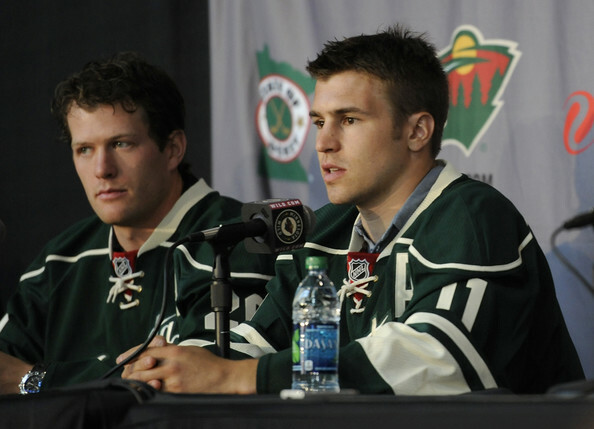 Parise and Suter earned their salaries last season. Parise led the team with 18 goals and 38 points in 48 games. He also scored seven powerplay goals and four game-winners. He was one of four Wild forwards to reach double-digits in goals during the regular season, and led the team with 182 shots on net. Suter finished third on the team with 32 points (four goals, 28 assists) while averaging 27:16 per night. His 32 points ranked third among all NHL defensemen, trailing only PK Subban and Kris Letang (both of whom posted 38 points), and Suter led all NHL defensemen in ice time. In spite of the contributions of Parise and Suter, the Wild were the definition of average last season. They finished the regular season ranked only 22nd in goals per game (2.46), and scored only 82 five-on-five goals in 48 games. Minnesota ranked 16th in the league on the powerplay (17.9 percent) and 18th on penalty kill (80.7 percent). One of the break-out stars of 2013 was Jonas Brodin. The Wild skated the 19-year-old with Suter for much of the regular season and against the Hawks in the playoffs, and he played well; certainly there were situations where he looked like a rookie, but his overall play was very good while averaging over 23 minutes per night. He turned 20 in mid-June, and the Wild hope he continues to bolster their blue line with Suter. This summer again brought movement to the roster in Minnesota, but it’s hard to say the Wild improved with this summer’s action. Two of the team’s top-five point producers – Devin Setoguchi and Matt Cullen – are gone. Setoguchi was second on the team with 13 goals, and Cullen was one of the better faceoff men in the league (54.7 percent). Both posted 27 points last year, and averaged between 14-16 minutes per night. Also departing was Pierre-Marc Bouchard, who had 20 points last season and averaged just under 14 minutes per game. Cal Clutterbuck and Tom Gilbert left as well. The Wild will hope some of the young talent they have drafted and acquired will step into their lineup and make an immediate impact this year. Center Mikael Granlund and wings Charlie Coyle and Jason Zucker will likely be asked to step into significant roles for the Wild, and have shown signs that each is capable of being an impact player. Something to watch this season will certainly be how well Granlund, Coyle and Zucker can replace Cullen, Setoguchi and Bouchard. The Wild also need Dany Heatley to return from a season-ending injury and contribute to the offense. He isn’t likely to score 40 (or 30) goals in a season again, and his salary is undoubtedly too high for what he brings to the lineup, but the Wild expect him to be in their lineup and producing this season. Another player brought in this summer was Matt Cooke, who will bring a cheap dirty physical presence to the Wild roster this season. Cooke hasn’t been suspended in two seasons, and his penalty minutes have come down… but there are still questions about his on-ice ethics (ask Erik Karlsson). Forward Nino Niederreiter and defenseman Jonathan Blum come to Minnesota with a lot to prove. After their relationships with the Islanders and Preds failed to work out, both are looking for a better opportunity in Minnesota this season. On the blue line, a prospect that could steal ice time from both Blum and Keith Ballard (also signed as a free agent this summer) will be Matthew Dumba. Dumba, 19, is a big hitter that had a strong season with Red Deer in the WHL last year after the Wild made him the seventh overall selection in the 2012 Draft. He finished last year in the AHL, and could push for a promotion during the coming season. Between the pipes will once again be the tandem of Backstrom and Harding. A major concern for the Wild is the ability of someone – anyone – other than Backstrom to handle the duties in net; Backstrom appeared in 42 of 48 regular season games last year. Will it be 23-year-old Darcy Kuemper that steps into a significant supporting role? Harding won the Masterton Trophy after revealing last year that he has been diagnosed with multiple sclerosis, but only appeared in five games. Matt Hackett appeared in one game, but is now with Buffalo. Kuemper appeared in six games (three starts), allowing only ten goals. Another area of significant interest for the Wild will be the coming Olympics. Brodin (Sweden) and Granlund (Finland) could push for an Olympic spot, while Parise and Suter are locks to represent the US assuming they’re both healthy. Backstrom started for Finland in 2010, but it might be best for Minnesota if he doesn’t make the roster this time around. Certainly Finland will have options, with Pekka Rinne, Antti Niemi and Tuukka Rask also available for their roster. I actually think Minnesota will be due for a slight bump. This has to do with the team on either side of them in the standings going east, but I like them to nab the 7 and contend for the 6. A resurgant year from Backstrom wouldn’t suprise me, and something tells me Parise will have this team ready to prove something. After being trounced by the Hawks, he will want to so what they got. They are young and hungry with a vereran goalie… that can get a team places if they get hot during the right stretches of the season. Only good thing about this team. They got us into the playoffs in 2011. 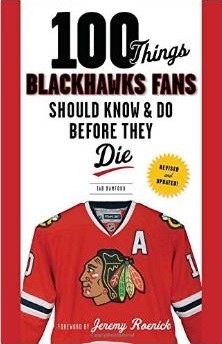 Add Cooke and all good will is gone. Another outstanding division rival write up Tab…thank you. Again, much like Nashville I see this as a team that needs its aging, over played goaltender to stand on his head for them to consistently win games…they are not a pushover by any means, but ultimately not much more than another .500 team. Like Nashville, they have potential moving forward, but nothing is guaranteed for them. I was shocked that, even with only one year left on his deal, the Wild didn’t use one of their compliance buyouts on Heatley this summer. There’s talent in their system, and that $7.5M may have kept another veteran like Setoguchi or Cullen in the fold. I’m sure they’re counting the days until he’s off their books. I always look at 2 factors to determine how good a team w be goaltending and defense. Can Backstrom and Harding be counted on in an uter is a legit Norris d-man but there isn’t much else. Can Brodin continue to improve? Can Dumba make the team? Can Cullen and Setoguchi be replaced? Too many questions for this hockey fan to think Minny will be any better then an 8th seed. Keeping Heatly may have been simple economics for the Wild. Spending up to the cap PLUS Heatly’s buyout salary may just more than the Wild could afford. #50in07….. anyone who doesn’t follow @danyallstar15 will never really understand why Heatley is not moveable. Toe drags in the high slot. Cardi and raris. I think the Wild will miss the players they lost than they will like the players they gained. Clutterbuck will be a big loss because he was a tone-setter for them. Cullen is a little long in the tooth but was their second best center. Setoguchi and Bouchard are offensive guys that will be missed by a team that doesn’t score much. The Wild are probably counting on rookie and second year players to take a big step forward as much as any other team in the league. Providing their veteran players play to par, I think the key player for them in Granlund. They need Granlund to play to the level of the hype at 2C. If he’s solid, then they have a chance at the playoffs, but if not I just don’t see them having enough offense or experience to be one of the eight. Tab, I believe Heatley was injured during the buyout window, so the Wild couldn’t get rid of him.